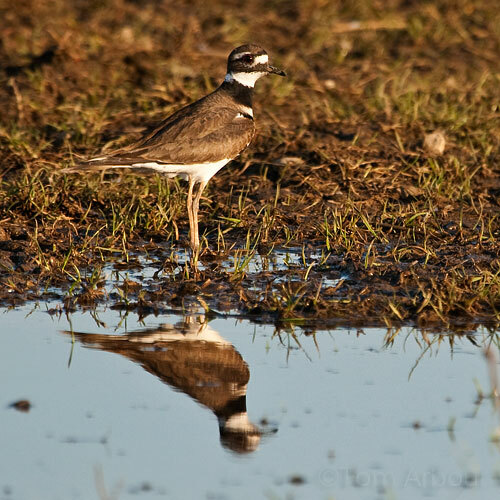 A killdeer drove me crazy some years ago. I worked 12 hour shifts at a factory where one was nesting & it just would NOT shut up. For 12 straight hours, I got to listen to "KILL deer, KILL deer, KILL deer!" I've lost a lot of respect for them since then. Funny. At my old apartment, back when I was single, there was a large field that was being turned into a condo complex. Fortunately I didn't have to spend twelve hours of their constant chatter.